The WSU Beef Team received a sub award to do the cow/calf curriculum on the Bovine Respiratory Disease Complex Coordinated Agriculture Project. The goal of this project is to reduce the prevalence of bovine respiratory disease complex in beef and dairy cattle for the improvement of animals welfare and profitability. To navigate throughout this project’s site, please use the Project Pages section to the right. 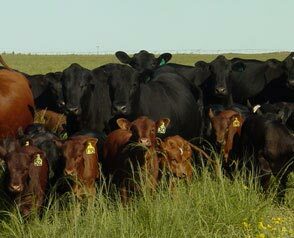 Factsheets: A series of factsheets to provide BRD risk factor education from the pregnant cow to arrival at the feedlot. Presentations: A series of recorded presentations covering the information within the factsheets, in addition to a presentation on Standard Operating Procedures. Self-Assessment: A self-assessment to assess your operation’s risk factors for BRD. Resources: Includes information on SOPs and publications on BRD.